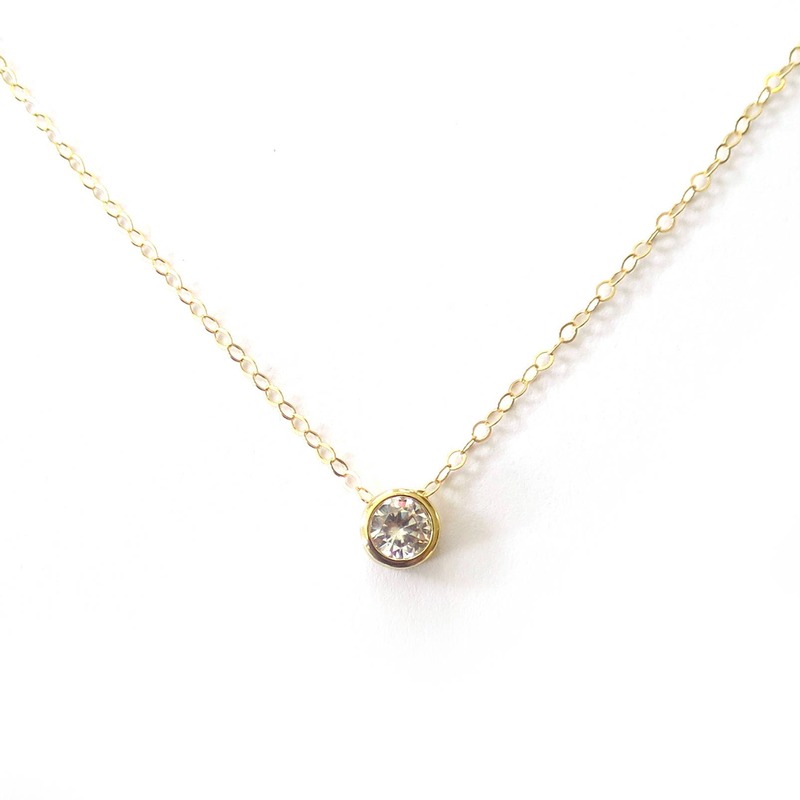 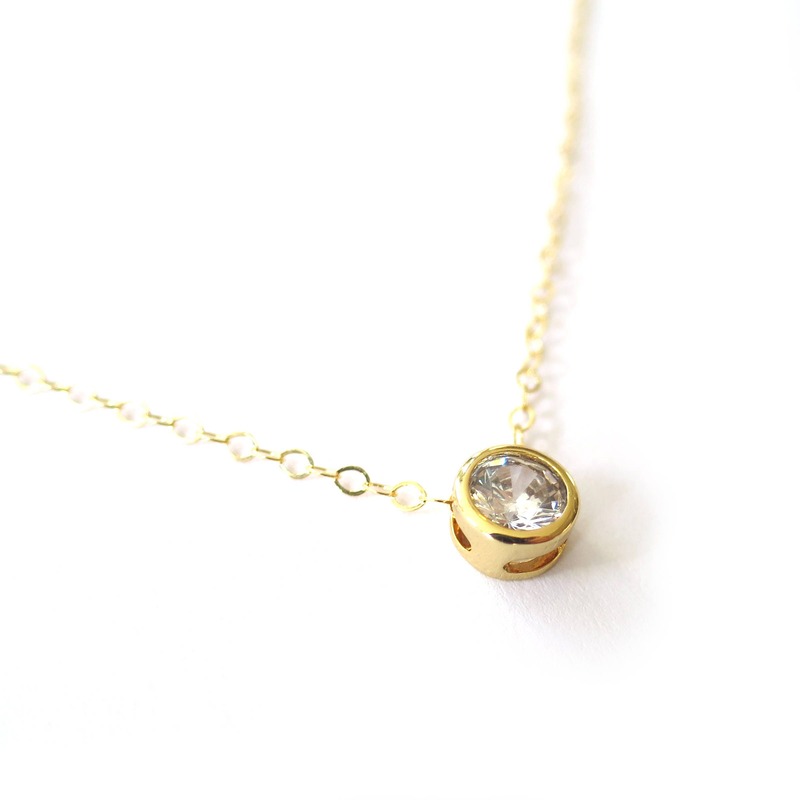 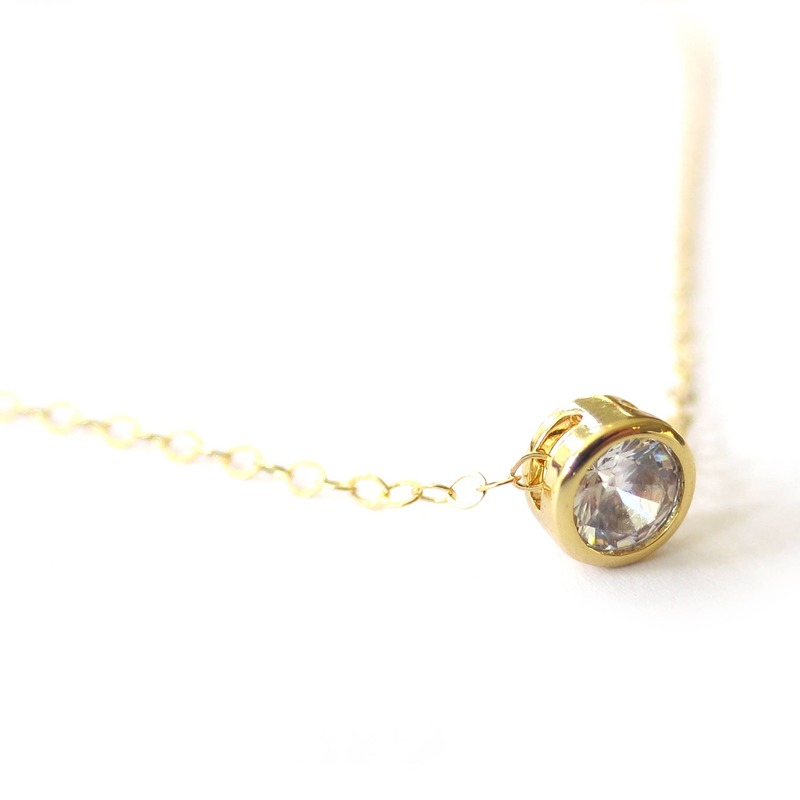 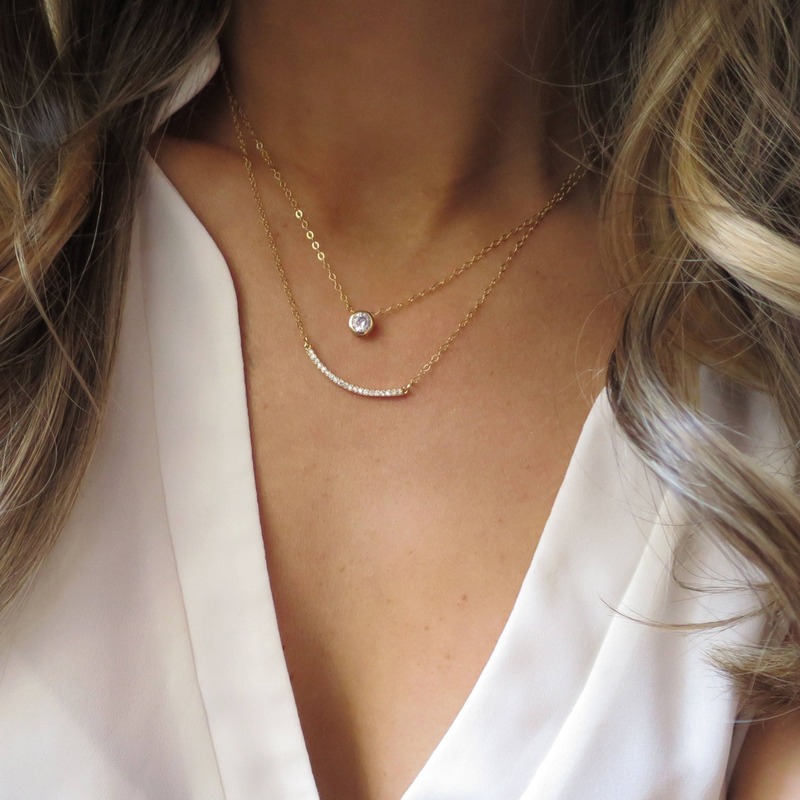 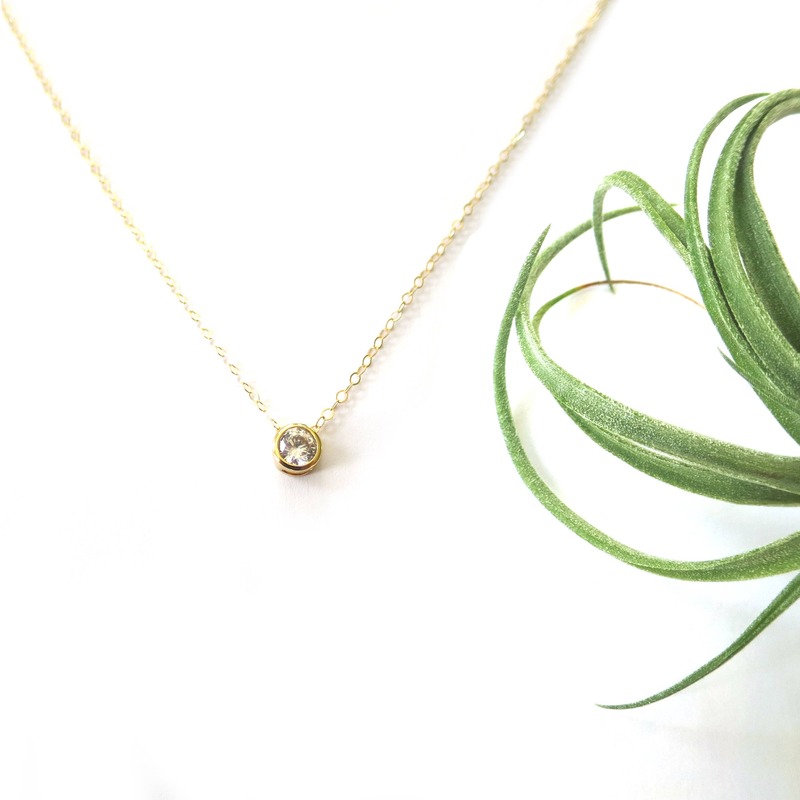 I love this gold necklace with dainty solitaire CZ pendant! 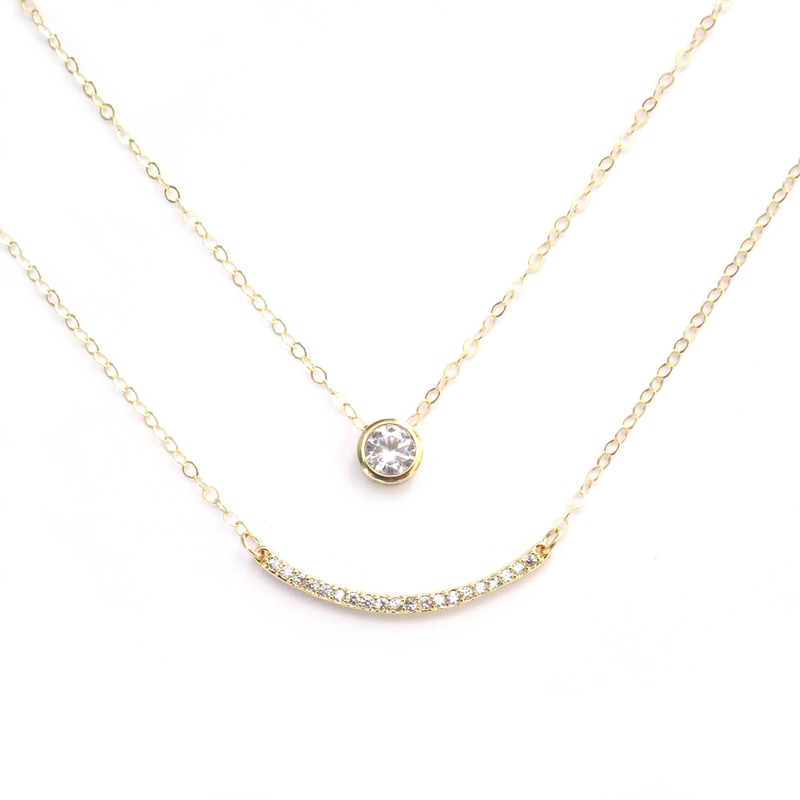 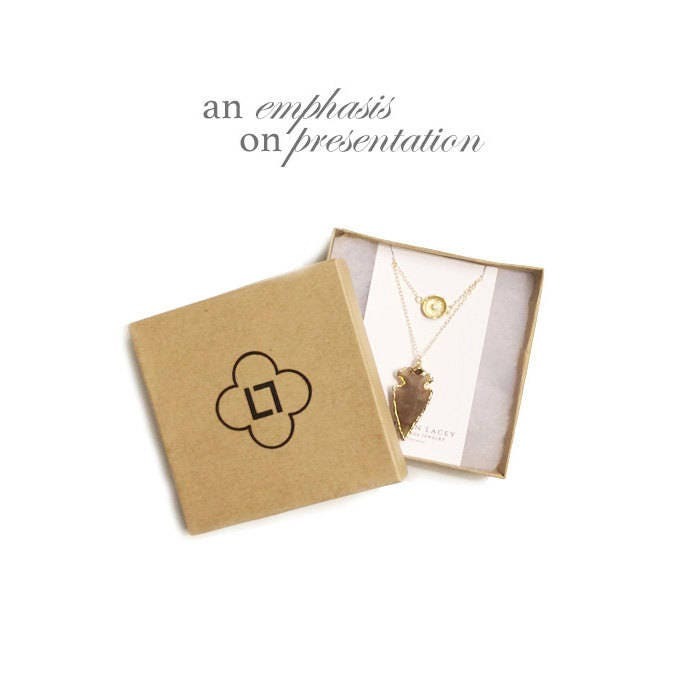 The perfect delicate jewelry statement--catches their eyes and lets your light shine! 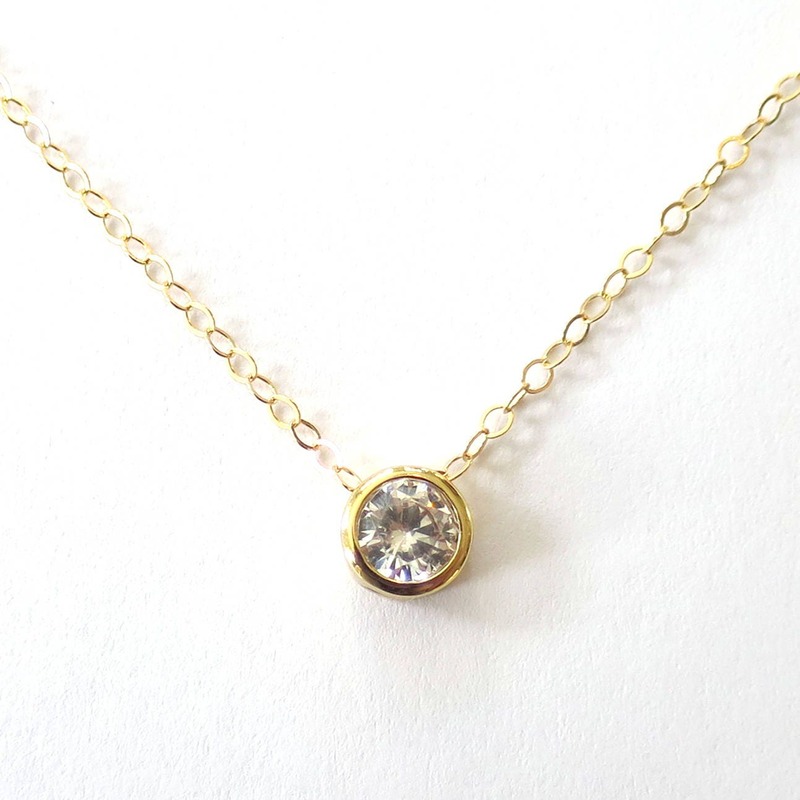 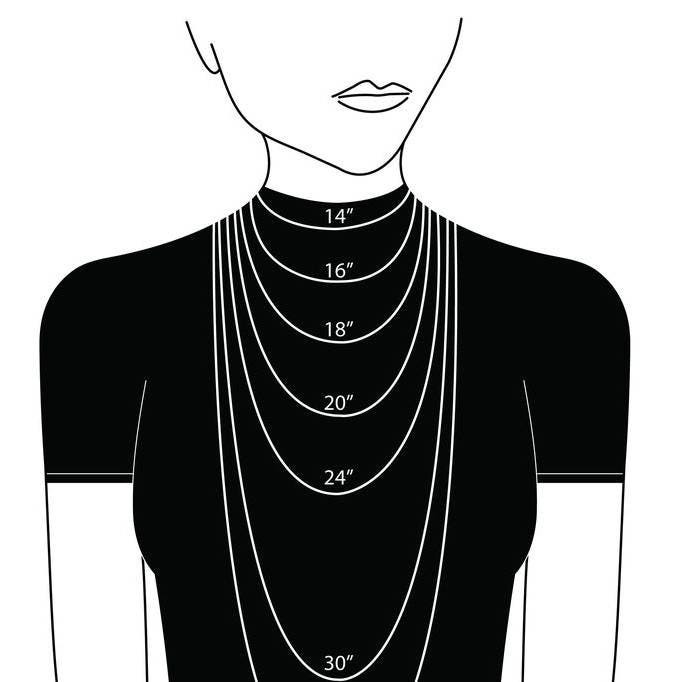 » The model is wearing this necklace at 15"
Beautiful item and quick delivery!